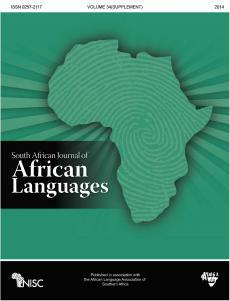 Decolonising roles of African language-based print media remain an elusive research subject in South Africa. Largely, this is as a result of the ahistorical understanding of media platforms in current research and decolonial discourses of the country. Focusing on the ambiguous and conflicting roles of the founding ‘owner’ and editor of Imvo Zabantsundu (Native Opinion), this article asserts that this African language-based newspaper fell short of the decolonising quest it set to achieve when it was started in 1884. The article further asserts that while the use of African languages provided an important impetus towards decolonisation of the press, the newspaper’s reliance on white capital during South Africa’s early colonial era compromised the ambitions of the journal’s founding editor. It argues that this compromised role of the editor was demonstrated when the newspaper was later used by its funders to campaign for the colonial parliament candidates that had presided over the desecration of African humanity in South Africa. The conclusion reached by this article is that while African languages play an important role in the decolonisation process, this role was compromised in the case of Imvo ZabaNtsundu (Native Opinion) by its founder and editor.